Be queen for a day (or lifetime!) 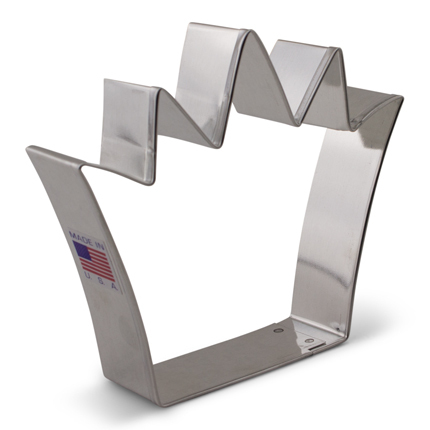 with the 4 1/4" Crown Cookie Cutter. 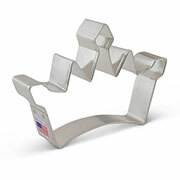 This cookie cutter will bring out your inner royalty and makes cookies that are fun to decorate. 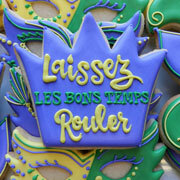 Use for Mardi Gras, "Where the Wild Things Are" themes, baby showers, birthday parties, school events, bachelorette parties, weddings and more. 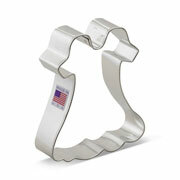 Great cookie cutters. Totally impressed. Will order again. This is a great looking cutter but it is really big cutter. i would've preferred a bit smaller.